Could auto tariff threat be a turning point? WASHINGTON — Not many issues galvanize every segment of the auto industry, from domestic producers and import brands to suppliers, unions, shippers and dealers. But give President Donald Trump credit for achieving things others wouldn’t even try. In his zeal to upend U.S. trade policy, he hasn’t just brought all of those disparate sectors together. He has also managed to bring members of Congress from both parties and chambers together in opposition to his threat to impose tariffs on imported vehicles and auto parts. 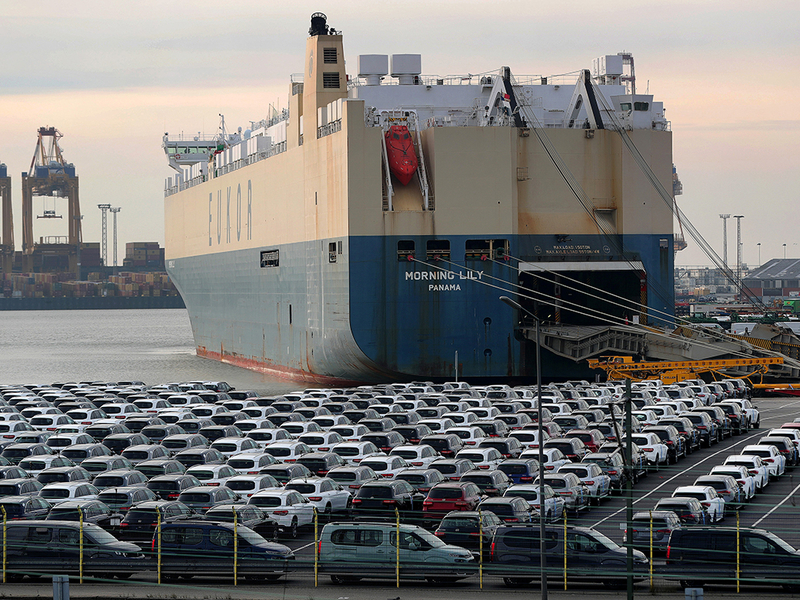 With a report expected within days from the Commerce Department declaring auto imports a national security threat, two new sets of bipartisan bills in the Senate and House aim to curb Trump’s authority to use national security as a pretext for such trade actions. Section 232 of the Trade Expansion Act of 1962 currently gives the Commerce Department the power to investigate national security implications of trade imbalances and allows the president to act unilaterally on the agency’s recommendations. The latest bills would require the president to get congressional approval for any Section 232 actions, more clearly define the national security impact of trade policies and place more responsibility to investigate such cases in the hands of the Defense Department. Other legislation being put forward would go even further. A bill introduced by Rep. Warren Davidson, R-Ohio, would subject any executive branch trade restrictions to congressional approval. The Association of Global Automakers, the American International Automobile Dealers Association and the Motor & Equipment Manufacturers Association are among 51 trade associations that support the bill. “With our economic growth and job creation right now, a trade deficit alone in automobile parts would appear insufficient to trigger restrictions based on national security,” Sen. Rob Portman, R-Ohio, said on the Senate floor in support of his bill to make sure the 232 exception is used for its original intent. There was a similar peep of dissent when Trump invoked Section 232 to slap tariffs on imported steel and aluminum, triggering retaliation from Canada, Europe and other major trading partners. But those who dared to speak up to the president quickly lost courage, and the auto industry ended up losing money, as both domestic and foreign steel became more costly. Ford Motor Co. and General Motors each have said the levies have canceled out $ 1 billion in profit already, and suppliers are getting burned. It’s hard to tell if the opposition will be any more durable this time, but already it’s more vocal. That’s understandable, given the automobile’s importance as both an economic engine and a consumer product. The Detroit 3 and their foreign competitors source large amounts of components from overseas. Taxing those parts will drive up the cost of all vehicles. Higher prices will slow demand, which will pinch sales at dealerships. Nearly 2 million vehicles made in the U.S. are exported, but the higher production costs — and the likely retaliatory tariffs — could price some of them out of other markets. The tariffs would also drive up the cost of vehicle repairs. If Trump follows through on his threats to restrict auto imports, it will bear watching how much support these legislative efforts get. They will be an important test of the auto industry’s legislative clout in the new Congress, and of conservatives’ willingness to defy their protectionist leader. Already, the GOP has shown, at least symbolically, that it can push back when it considers the president’s policies reckless. The Republican-controlled Senate recently passed a nonbinding resolution, 70-26, urging Trump not to precipitously withdraw troops from Afghanistan and Syria against the advice of his military aides. The auto industry has a broad constituency, comprising giant corporations and small businesses, r&d labs and plants, stretching from the industrial Midwest to the deep South, and to ports up and down both coasts, with outsize economic importance. If lawmakers are looking for a platform on which to make a more than symbolic gesture against the president’s protectionist policies, this could be it.